In the early part of the awful summer of 1988, having just been blown away by the still-amazing The Indestructible Beat of Soweto — and unable to find a full album by my favorite artist on that comp, Udokotela Shange Namajaha (it took me almost 30 years to find one) (but i did!) 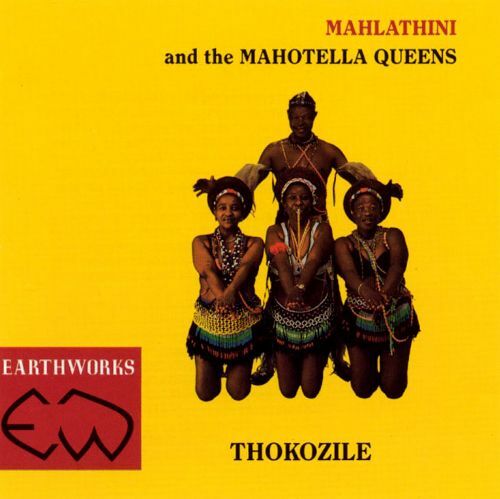 — I took a flyer on a full album by one of the artists on that compilation, Mahlathini, who was known as the “Lion of Soweto” for reasons that were obvious the moment you heard him sing. That album was called Thokozile, and while I didn’t understand a single word on it, as always, the music and performances were amazing.